This is apparently the last release by Josiah. The first 4 tracks were recorded in Wales in August 2006 and the last 5 tracks were recorded live in Umeå, Sweden in 2007. 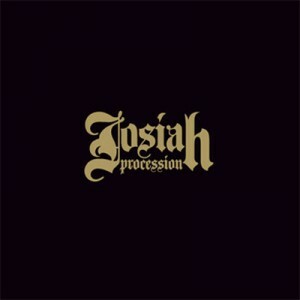 Procession starts things off with a short, heavy instrumental track before the band kicks into Broken Doll, which is a short 2 minute high energy rocker with some dual layered guitar parts and really jamming. Thirteen Scene breaks the 4 minute mark and has a pretty infectious groove going. This one has your head shaking and could easily be a Cherry Choke song if it had a different song production. Dying Day slows things down and reminds me of another song but I can't put my finger on it but they for sure borrowed the riff or groove from someone. Dead Forever has a bit different production sound to the other tracks (was recorded in January 2008) and I think is a cover of Buffalo? Anyway, it is the most jamming and psychedelic track of all of these. Next up is the live tracks in which the audience has been totally stripped away so you don't really know they are live. The band hand picked a good selection for this final release including one of their best tracks, Malpaso. A pretty solid last release by this seminal UK band.